APC’s embarrassing “NextLevel” reelection campaign has erased all lingering doubts that the Buhari presidency is a veritable graveyard of creativity, intelligence, and basic decency. The campaign’s logo and slogan, as most people know by now, are unoriginal. They are also the product of willful intellectual theft. More than that, though, its symbolism portends a frightening future for Nigeria. Let’s start with the logo that President Buhari shared on his verified Twitter handle on November 19. The creativity deficit in the graphic is truly unsettling, but it powerfully encapsulates, without intending to, the terrifyingly escalating sense of foreboding that a Buhari second term would mean for Nigeria. It shows Buhari and Osinbajo insouciantly detached from the people they are leading. 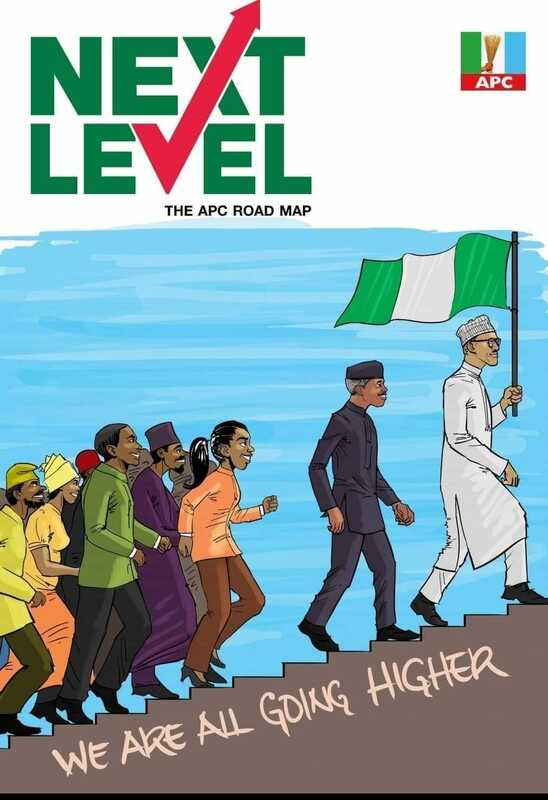 Buhari appears as a clumsy, clueless leader who can’t even get his steps right: unlike Osinbajo, he skips a step on the staircase as he leads Nigerians to what seems like bottomless perdition. Both the leaders and the led wear sheepish, vacuous grins—except Buhari who looks stiff-backed and joyless— as they head to their damnation like moths to a flame. The photo shows them climbing up the edge of a cliff from where they'd fall into the cruel, unforgiving blue ocean that surrounds them. It’s a contagiously depressing graphic, but I give it credit for its fidelity in capturing the ruination that Buhari is inexorably leading Nigeria to. The “NextLevel” slogan is also a powerful linguistic affirmation of the depressing future the graphic evokes. There’s no question that Buhari’s record as president these past three years has been an unrelieved disaster. Nigeria now leads the world from the bottom in almost everything. For the first time in Nigeria’s history, we now have the unenviable notoriety of being the poverty capital of the world. The only quality Buhari proclaims to possess is an inscrutable “integrity” that no existing English dictionary in the world has a definition for, yet his government was ranked the second worst in the world in “government integrity” in 2018 by the US-based Heritage Foundation. It is only better than Venezuela’s government. In Oxfam’s and Development Finance International (DFI)’s 2018 global ranking of “Commitment to Reducing Inequality Index,” Nigeria was ranked 157 out of 157 countries. And, in spite of the president’s tiresomely sanctimonious noises and holier-than-thou “anti-corruption” grandstanding, Nigeria has consistently regressed in Transparency International’s corruption perception index since Buhari became president. We are currently ranked 148 out of 180 countries. Similarly, according the BBC of July 25, 2017, “Nigeria has largest number of children out-of-school in the world.” So in Buhari’s more than three years in government, Nigeria has been in an unexampled free fall in every imaginable index of human development. To be sure, we weren’t first before, but we were never at the bottom. These damning global assessments of Buhari’s excruciatingly biting incompetence are painfully familiar to everyday Nigerians. We know, for instance, that nearly 8 million people lost their jobs between January 2016 and September 30, 2017, according to the National Bureau of Statistics, which is a federal government agency. Youth unemployment also more than doubled during Buhari’s presidency. According to data from the National Bureau of Statistics, when Buhari ascended to the presidency in May 2015, youth unemployment was 13.7 percent. By July 2017, it climbed to 33.1 percent. But even without official statistics, we know Nigerians are enduring unparalleled existential torments. Prices of goods and services have gone through the roof. Insecurity used to be limited to the northeast, but it has now become democratized nationally. Governance has ceased. Governing boards of several federal agencies are still not constituted, which means the nation is literally at a standstill. 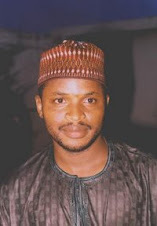 The economy has tanked and everyday folks are writhing in unspeakable agony, but the president bragged about never being in “a hurry to do anything.” Corruption by the criminally favored few in government is ignored, defended, celebrated, and rewarded (remember Abdullah Ganduje AKA Abdollar Gandollar). APC's NextLevel campaign isn't just deficient in creativity; it's also a shameless theft of an organization's intellectual property. The logo that the president shared on his verified Twitter handle was stolen from Winthrop University in the US. I was one of the first people to call attention to this on social media. How can the government afford not to be original in something as consequential as its campaign logo and slogan? What level of cognitive indolence can activate that sort of intellectual dishonesty? Remember that the “Change Begins With Me” campaign was also a brazen intellectual theft. According to the Premium Times of September 11, 2016, one Akin Fadeyi, identified as “a creative artist and former head of communications at Airtel Nigeria,” said he sent a proposal about the campaign to Lai Mohammed, who rejected it but later used it without the originator’s permission. But Premium Times found out that the slogan “Change Begins with Me” actually came from a public campaign in India. Interestingly, President Buhari’s speech at the official launching of the “Change Begins with Me” campaign plagiarized passages from Obama’s previous speeches! What has become agonizingly obvious about the Buhari presidency is that everyone there from top to bottom is lazy and dishonest in even the little things. That’s why Buhari's government has been one giant, hypocritical criminal enterprise. No one thinks in that government. They are all intellectually low-grade malefactors. Should Winthrop University decide to sue the Buhari campaign, it would inflict incalculable reputational damage on Nigeria. 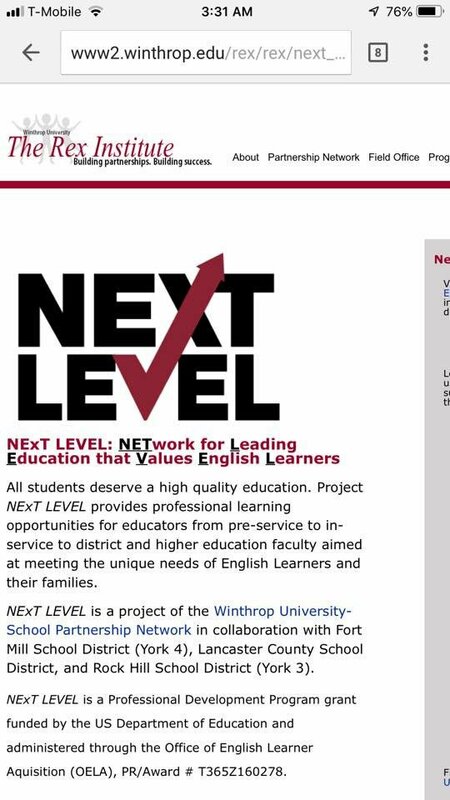 Although it’s unlikely that Winthrop University has trademarked the NextLevel logo, it can still win a copyright infringement suit. Nigeria is a signatory to the Berne Convention, the international copyright treaty. Copyright protection applies to “original works of authorship” that are “fixed in any tangible medium of expression.” In the US, creators of original works don’t have to formally apply to the US Copyright Office; their works are already automatically copyrighted. Besides, the Berne Convention protects copyrighted materials from unauthorized “adaptations and arrangements of the work.” Changing the colors of the original logo, as the Buhari campaign did, is unauthorized adaptation. How can the Buhari government take you to any level when it can't even come up with an original slogan and logo for its reelection campaign? What is probably worse than APC’s intellectual theft is its insultingly inept attempt to cover its fraud with easily refutable lies. After our exposure of their mortifying intellectual theft, the Buhari campaign first blamed its supporters for it. Then Buhari campaign spokesman Festus Keyamo (who has been caught and exposed for stealing stock photos from the internet to bolster the Buhari regime’s habitual lies of infrastructural upgrades) took the lie a notch higher: he said on AIT that that the logo was actually designed by PDP to embarrass the Buhari government! But it was President Buhari who first tweeted it from his verified Twitter handle! There’s little doubt at this point that the “NextLevel” that the Buhari reelection campaign is promising Nigerians is unmentionably unprecedented lying, ineptitude, fraud, and anguish.